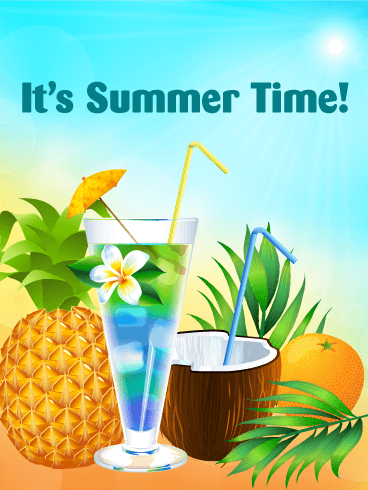 Doesn't this Summer card just make you want to fly to a tropical island and start sipping on some piña coladas? For the person who's been talking about summer since the first snowflake hit the ground this past winter, this Summer card is the perfect choice! It's a great option to accompany end-of-the-year teacher gifts, and also just a fun Summer card to send to friends!